As Nepal came to terms with the after effects of the Quakes in the spring of 2015 one woman shone like a beacon of hope for the emerging nation. Assisted across the border to India by returning aid convoys and a network of friends. 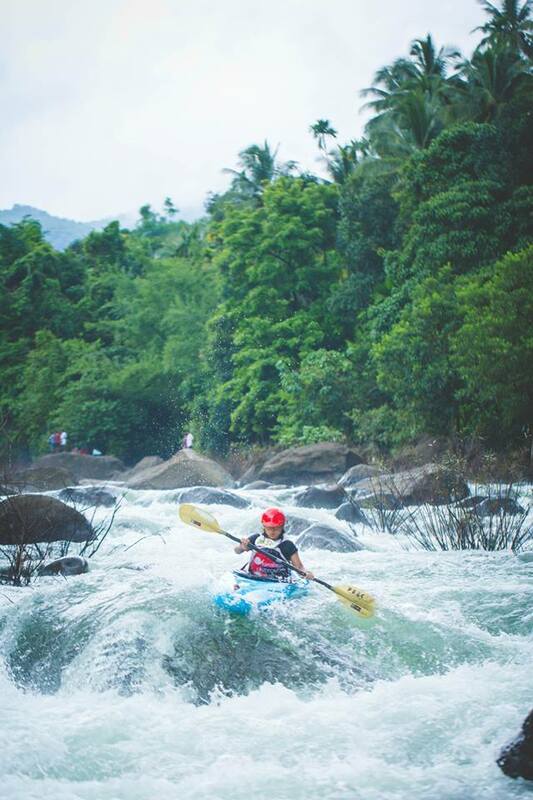 Goma Sunuwar made her way to the Malabar River Festival, paddling the Ganga and Coorg along the way. Prejudice is always high and female kayakers in India and Nepal are a rare sight. ‘Should you be married now?’, can you imagine. 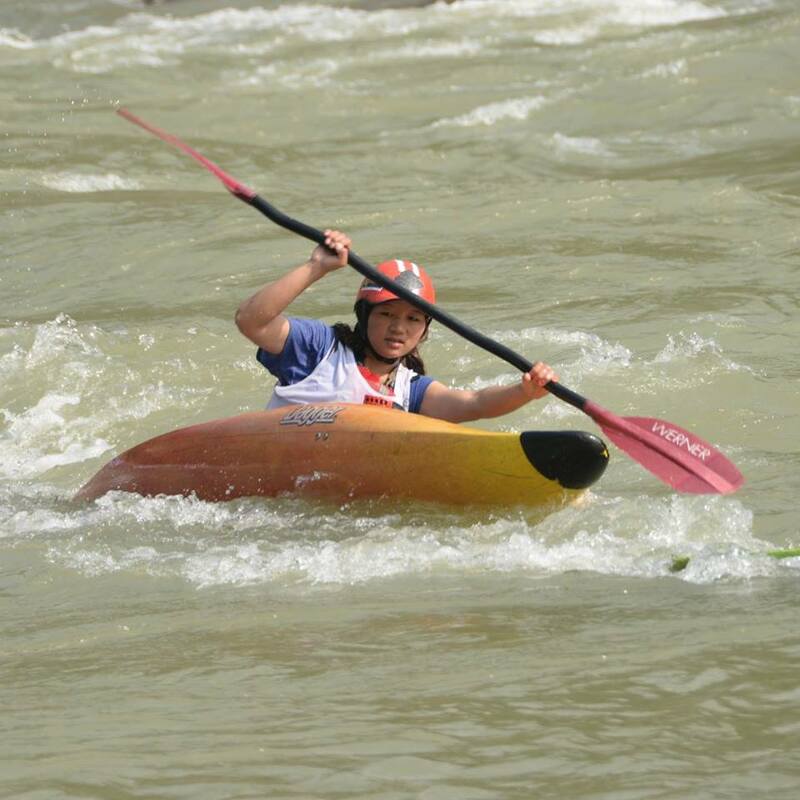 We caught up with Goma in India and followed her progress later as she trained for Slalom competition in Indonesia. There is always someone whom you are inspired of… it was same for me I started kayaking in December 2007 because of my sister Miss: susmita sunuwar who was a professional kayaker. Why did you start kayaking? It’s not like that I started. My sister was a. Kayakers and i used to be around her.. seeing what she does I felt like doing something like that you know like adventurous! yes I was inspired and I started and felt in love with…! You come from a family that has learnt to kayak how do you help or hinders you? Going to my family background … we are big joint family. Many of them are involved in family household things. I am lucky that being from such a family my sister started something different and it truly helped me. I mean in country like Nepal you would see very less athlete in any adventures Sport And in this case I got full support from my sister and didn’t about what people says. I just went on training hard and regular. I even have financial support, love and care from my family which obviously has lift up my hug amount of confidence! A as nepali woman do you find the pressure of your culture is a real hurdle for you? Actually going with culture things it would matter somehow as from young age you have to take care of you’re family, it’s kind of hard for us but you like “Things meant to be happened”. It was same for me I started doing it, people got to know about me and my atheletism and now they are giving thumbs up! Mean obviously these days people are lot changed about how things are, What are the consequence it’s just like go with it. And I am into it and even I am inspiring lots of grill. Do you ever get he chance to paddle with friends or socially or are you always at work? Since I am paddling I am with friends for regulars practice. 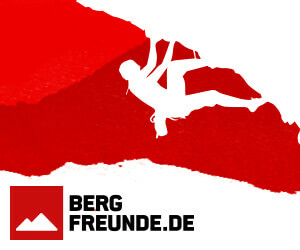 Though we got Family business related to multi sport BABU ADVENTURE and I am working there I love to be social. And kayaking I make time for me whenever it’s possible sooner or later. I ask my friend to join me and sometime I do it by myself. It’s fun like getting a busy day and making time for being social always make my day worth a lot. It must be hard to train and compete on a world class level, how have you managed it? Obviously it does for anyone I think. Isn’t it? It always a hard time for me! Practice regularly I know even though at the end of competition if I got nothing it’s no like that I am not good. I always believed in my self and what I do. It’s hard to manage everything to be a professional even though I try to make everything possible. The conclusion is “I try my best I don’t care if I can do it or not” I don’t get success I fell like better luck next time. So this is how I move whenever I am computing so I have been computing a lot with paddlers from all around the world. So sharing my idea and even theirs and learning each new technique has always been lesson for my life. So this is how I have inspired For computing there! What do you think can be done to help develop the sport for people like yourself? We always have our own perspective. It’s not like forcing someone to do something. I told you its about getting inspired what you want you want to do and the next step you will find your way. So to pass the professionalism in sport we better inspired youth. Make a sustainable environment to provide everything necessary. Need to have many internal competition workshop so they will have better awareness in what they are doing. What are your personal goals in kayaking? Since I started paddling I always wished to be a professional kayaker. I know I didn’t earn money through it but I love it. 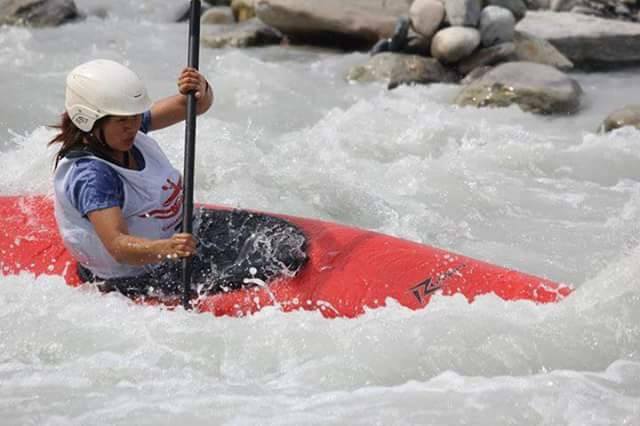 Now being a good kayaker I wish to get participated in world class level and be experienced enough to proudly say that I am Nepali female kayaker has proudly represented a lovely country Nepal in world through which more of our female youth will get inspired to do things like me. And with the experience I got I would proudly share with my people to get inspired from it. Following the quake in Nepal do you think that kayakers will come back and explore the rivers again? It was big natural disaster but there is no any damage and effect in our hundred and hundred of world class river. I think now there will be more kayakers willing to come here in Nepal to experience what had happened. And I am willing to see all my fellow international kayakers in Nepal! 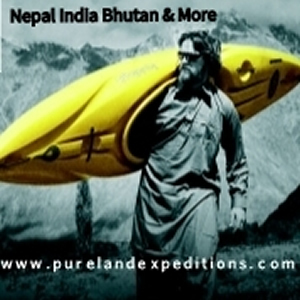 Through kind donations of equipment and time we have been able to develop an access fund that supports the growth, at grass roots level, of kayakers across India, Nepal and Bhutan. Allowing access to skills, knowledge and resources at an international level. We are forever indebted to the Baird-Parker family, G.Lockyer, friends and colleagues at Canalside centre, UK. Whose faith and support in the early stages of developing the Access Fund was instrumental and is a lasting legacy. 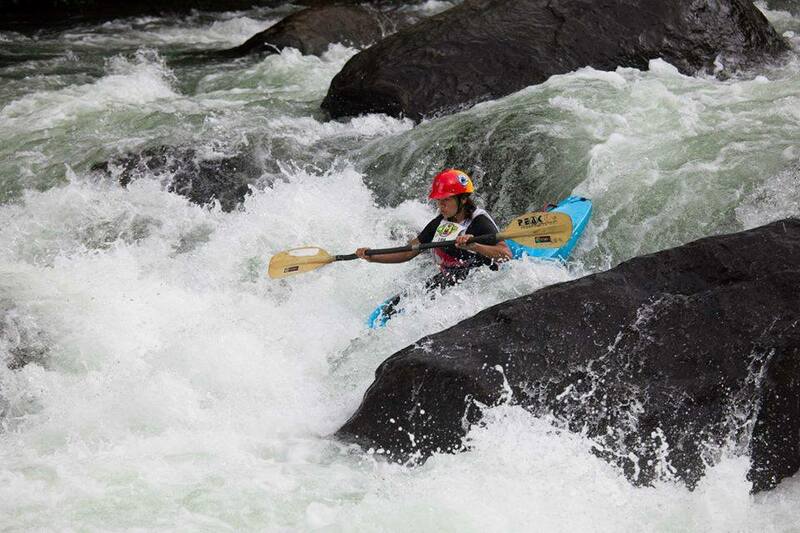 Kayakers Access Fund runs across India, Nepal and Bhutan. 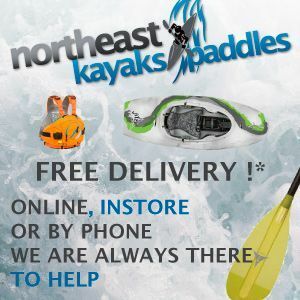 Kayakers Access Fund is a not for profit fund. How Kayakers Access Fund is financed – we accept donations and all money from our hire fleet to tourist paddlers is returned to the fund.